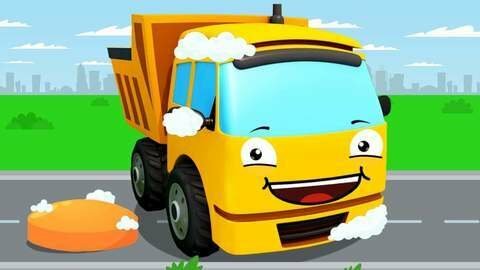 Fans of modern animation will definitely appreciate this colorful car cartoon for children from SeeZis studio! The Funny Truck slipped on the soap of Police Car that was taking a bath. From this moment begins a fun adventure, in which the Monster Truck will also takes part. Don't forget that our site contains the best cartoons for kids that you can watch online for free!